Here are some tips that you can take into consideration when it comes to making your perfect bathroom that you will enjoy every time you will step in it. You can easily add some personality to your bathroom. 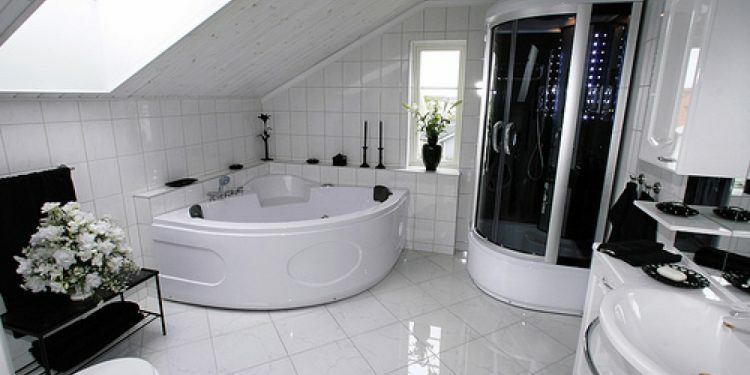 A lot of people think that the bathroom is one of the most boring rooms in the house. You shouldn`t be one of those people because there are a lot of great ways to make your bathroom truly special. You can add different things here such as antique mirrors, plants or even wallpapers. You can easily get creative in the bathroom. If you have a large family you can choose a pedestal sink for your main bathroom because the washroom is going to turn fast in a messy nightmare. You shouldn`t mix your kitchen with your bathroom. If you don`t have any choice make sure you install solid doors to separate these rooms. You can also install a loud fan. You can opt for them if you want to stow stuff. They are also great for some really interesting patterns that you will like. Don`t forget about lighting. It is another important part of your bathroom. A lot of people don`t take into consideration the bathroom lighting and this isn`t good. You are doing a lot of tasks in the bathroom and you will require proper lighting. From shaving to applying makeup, lighting is an important part of any bathroom. If you will mount a strip above the vanity it will cast shadows. You should think a lot before designing your bathroom and assign the best place for everything. Especially if you have a small bathroom, there may be the possibility to not have where to hang a towel bar. If this is your case, you can add a towel bar to your shower door. Clever ideas will make your life easier. Just take advantage of all of the space in your bathroom and add different things that will help you with your day to day tasks. A beautiful vanity looks good but there will be times when you need to get ready to go out and you won`t have enough time to put everything back.. You will need a place for your items such as your makeup, hairdryer and even creams. When choosing a vanity always remember to be practical. A toilet shouldn`t be the focal place in your bathroom. Allocate your toilet in a special place where it doesn`t steal the main spotlight. The bathtubs are usually a gorgeous place to spend your time, but if no one in your family takes baths, it isn`t a smart idea to install one. Showers will work great for you and the best part about them is that they will use less water.